Mom rocks so make her some rock fish for mother’s day. Rock fish is a light, tasty fish easily found in the Chesapeake Bay area. (It is the Maryland state fish after all.) If you can’t find it, any white fish will do — trout, tilapia, grouper, and the like. Here’s my favorite recipe for grilled rock fish although a secret sauce of Southern Pecan Pepper Jelly makes it great. You can substitute any pepper jelly you like for an easy sauce. Tommy Cooper, owner of Fire & Spice Gourmet on Nutt Street in Wilmington, North Carolina, located in the Cotton Exchange, gives this recommendation for fish. 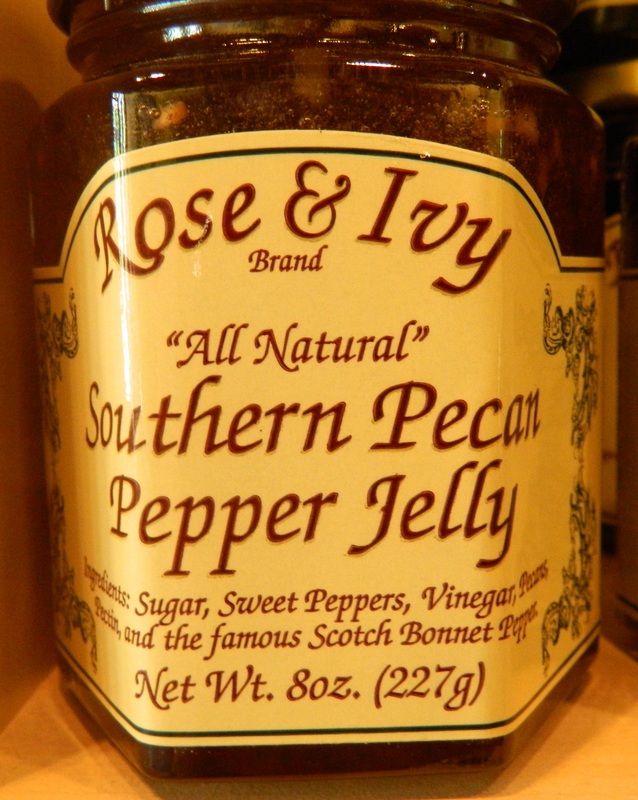 “I use Rose & Ivy Brand Southern Pecan Pepper Jelly with speckled trout we catch locally.” The jelly’s ingredients are sugar, sweet peppers, vinegar, pecans, pectin and the famous Scotch Bonnet Pepper. It is homemade by Bell Buckle Country Store. May is a great time to eat on the porch or deck, grill something light, sit back and enjoy the moderate weather. Do it for mom. Spray baking dish with non-stick cooking spray. Season fish filets with salt and pepper and place in baking dish. Dot top of fish with butter. Turn on the oven broiler to preheat. Set fish aside. Broil the fish for about 7-9 minutes or until flaky. Fish should not be overcooked. Remove from broiler and put on plates. Drizzle the warm Pecan Pepper Jelly over the fish and serve. Keep the warm jelly on the side for anyone who wants more. 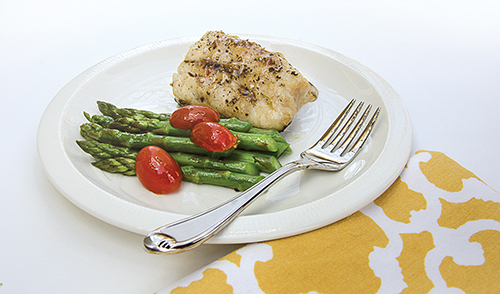 This recipe was originally printed in the spring 2013 issue of Celebrate Home Magazine. Download the magazine for free at http://www.celebratehomemagazine.com. Photo by Cindy Dyer.